WHY DO 78% OF WILLS GO MISSING? WHY ARE 67% OF WILLS NEVER FOUND WHEN NEEDED? The Estate Planning Industry has declared that more wills go missing, than found. Why? Too often we believe that our family members will "KNOW" where the will or attorney is. This is completely untrue. Even when family members are told where the will is, or who the attorney is, it doesnt help. People forget because losing a loved one is an issue no one wants to talk about. Family members do not want to discuss issues about losing a loved one. Even then the conversation is discussed, most say they can't remember anything. A will is usually hidden. When the testator moves or passes on, it is often thrown away with all the other paperwork. Often times a new will is written and too often the only will that is found is and old one. A will is moved to another location and the children were not told where. Seniors relocate as they become ill and forget to share how their paperwork was filed with their loved ones. Many elderly go into a home or assisted living and aren't able to remember where their documents are stored. Family members don't have clue of how to find out who the most recent attorney who drafted the newest version of a will is. TIP: Make sure you have more than one copy of your will stored. Technically, you should only have one copy of the "original", and one or more copies of a duplicate. In the event that the original version goes missing, at least a duplicate copy can be presented to the courts and the family. If you have an attorney, the attorney can testify to the validity of the duplicate, or, the attorney has the original copy on file. 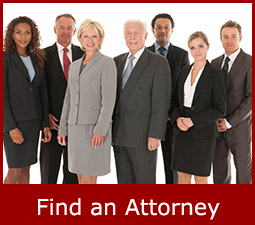 This is only helpful if the family can locate the attorney. This is why registration is essential to helpling your family when desperately seeking your will. 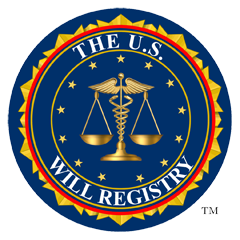 Why Register With The U.S. Will Registry, Inc. If you ask an attorney where is the most ideal place to store your most valuable documents, the answer would be "there is no right place". No matter where your Will is stored, you can't be certain that your family will have a way to locate it at time of need, UNLESS it is registered. So many families have agonized over not being able to locate a loved one's Last Will. Once registered, your information is secured and unable to be retrieved without the necessary legal documentation. Whether your original Will (or duplicate) is with your Attorney, best friend or executor, in a desk drawer or in your safe deposit box, you need to make its location known. Registering your Will with The U.S. Will Registry assures you now that your family will be able to find it later. How will family know I'm registered? Once registered, you will receive a certificate and printable wallet cards by email so your family will be able to see that you are registered. (You should also tell your family members you are registered as well.) They will not be able to access any information without a death certificate. Rather than depend on your loved ones to remember where your Will is, you are assured they will be able to find it once registered. Safe, secure storage with 24-hour access. Information stating the location of your original Will and duplicate will be maintained in a secure centralized database on our server. This information is kept confidential and will only be disclosed in the event of your death, with proof of a death certificate, and through an attorney. Registering your information on The U.S. Will Registry takes just a few minutes. All you need to provide is the where any copies of your will are stored to surely give you the peace of mind that you and your family deserve. Need help writing a Will? Our website will connect you to professional estate attorneys who can ensure that your Will is properly written and meets your particular needs and the requirements of your state. Whether your documents are needed tomorrow or 75 years from now, the The U.S. Will Registry will have the information available once provided with a verified death certificate and ID to an attorney.